Most visitors know Mendocino County for the towns of Mendocino and Fort Bragg, with historic and picturesque landscapes, architecture, and northern coastal ambience. South of these celebrated and renowned locations, however, nests a rugged bit of coastline trailing from Elk to Gualala that locals affectionately call the “south coast.” In the hub of this area sits Point Arena, the Point Arena Lighthouse, and the Point Arena-Stornetta Unit of the California Coastal National Monument. With so much natural beauty to see it’s easy to start planning your visit around these national icons. For special events happening at the Lighthouse you can check out our Calendar of Events. But for more “things to do” we encourage you to click a photo above or read on . . . 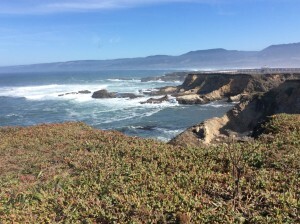 The “South Coast” of Mendocino offers many attractions for the outgoing adventurer. From wine tasting, fundraiser events, and the Arts, to all the natural beauty you can stand, Mendocino County has a lot to offer. 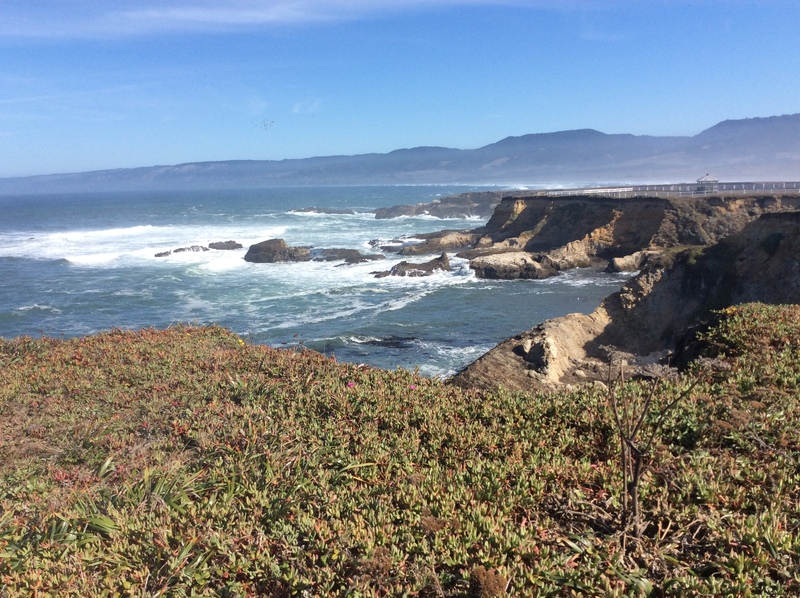 Point Arena is a growing, vibrant and diverse town that is worth your time to visit. The Point Arena Merchants Association (PAMA) offers a comprehensive map of Point Arena’s many restaurants, shops, markets, attractions, entertainment venues, services and more. Be sure to stop and explore Point Arena as part of your trip to or from the Lighthouse! About 25 minutes south of the Lighthouse the town of Gualala offers shopping, dining, two gas stations and the amazing 11,000 square foot Gualala Arts Center. The area also offers unique destinations such as Glass Beach in Fort Bragg, and Bowling Ball Beach just south of Point Arena. Both locations host stunning sights rarely found elsewhere in the world. 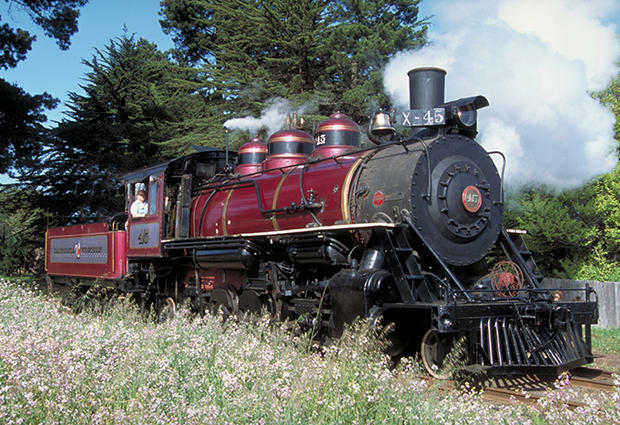 In Fort Bragg find the famous Skunk Train, a must-do for train enthusiasts and families. Also popular with families is the B. Bryan Preserve, Point Arena’s own wildlife preserve offering animal feedings and guided tours of the grounds where they have been breeding and preserving African hoof stock for over a decade. For those who can’t get enough of the hoof, consider beach-by-horseback with Ross Ranch Horseback Tours. Of special interest in our area, the Point Arena-Stornetta Unit of the California Coastal National Monument was the first land based part of the Monument and shares a special partnership with the Lighthouse. The twenty-three acres of the Lighthouse peninsula are bordered by over sixteen-hundred acres of Monument lands. These public lands are open to all, year-round, and are an amazing gateway to the Lighthouse. As a partner with the Bureau of Land Management (BLM), Point Arena Lighthouse shares an important role in preserving these lands for decades to come. The diverse ecology and lang-standing history of this area is truly a national treasure. 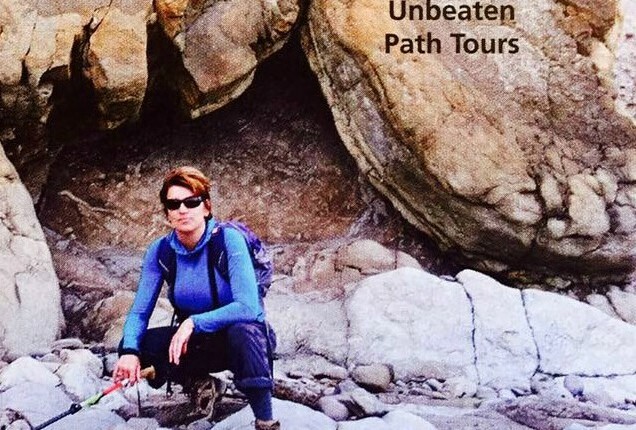 Visitors and locals alike can hike the trails and discover a variety of natural and man-made points of interest along the way. In addition to the Monument itself, it is worth noting that the Greater Farallones National Marine Sanctuary was recently expanded to this area as well. This sanctuary protects the waters just off the coast of California, providing important ecological protections to this sensitive area.